At Makers Empire, we help educators teach students how to solve real-world problems using Design Thinking and 3D printing. Keep the Design Thinking cycle fresh in your students’ minds with this helpful 6-page workbook from Makers Empire. 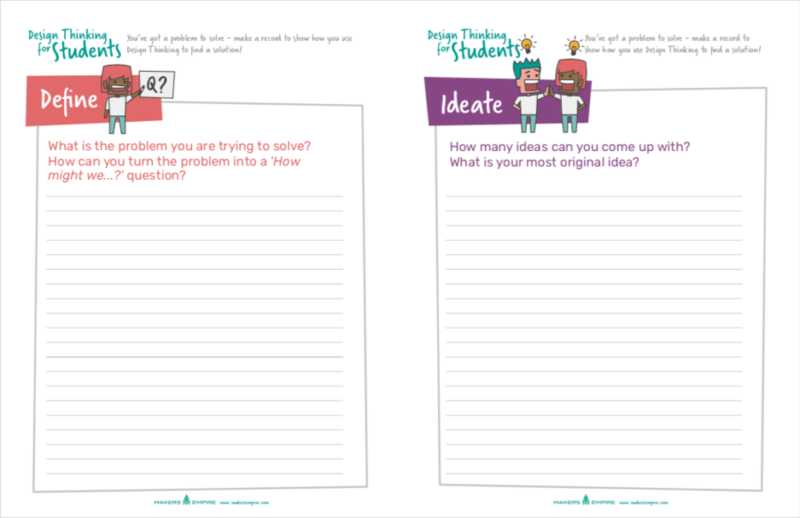 Download our FREE Design Thinking for Students worksheets in your preferred size by clicking on the images below. You can then print out the worksheets using your home or school printer.